“Everybody in here can go tell your friends that I’m considering a run,” the former candidate told the gathering in midtown Manhattan, according to Politico. But insiders who spoke to BuzzFeed News about Romney’s evolution on the 2016 question said he only began to entertain the possibility recently, and that he still needs to weigh a number of factors — including Jeb Bush’s electability — before he decides to take the plunge. The last [general election loser] to even mount a campaign was George McGovern, the Democratic nominee in 1972, who mounted a quixotic comeback attempt in 1984. In fact, with the exception of Richard Nixon’s win in 1968, the only time a former major party nominee has since been elected to the presidency since the Civil War was when former President Grover Cleveland won his 1892 rematch for the White House against Benjamin Harrison. Rather than signing on with Jeb in the next weeks or months, many of those money men and women will wait to see what Romney does before doing anything. So, Romney is really buying himself — and, whether intentionally or not, the rest of the potential field — some time. He’s taking the Bush pot off of boil and turning it down to simmer. In private conversations, Romney has questioned Bush’s ability to beat Clinton, arguing that voters would recall her husband’s administration in a far more positive light than that of former President George W. Bush. He’s also warned that Bush, who spent his post-office years working on a range of business ventures, could be open to the same type of private equity attacks that Democrats successfully leveraged against Romney in the 2012 race. One Republican consultant suggests that posturing over a possible campaign was a way to signal that he wouldn’t cede automatically donors or staff to Bush. … This is why veteran operatives of the Romney campaigns consider the revived rumors of a 2016 campaign overblown. They have long scoffed at the notion he’d run again. They believe their former boss would be an excellent president. They say Romney agrees. At the same time, they don’t expect a campaign to materialize. 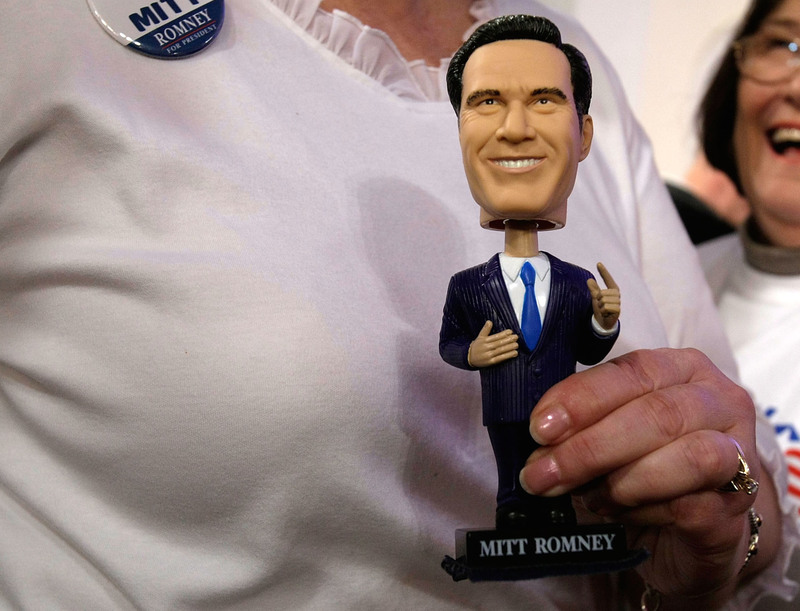 Given that success is very unlikely, and since it can only harm Romney’s reputation to embark on a third losing effort, it raises the question: what could Romney and his backers be thinking? Maybe his former staffers and advisers just want to get paid, but why would Romney want to go through the process all over again? There is every chance that he would be thoroughly humiliated along the way. That might be amusing to watch at first, but it would mostly just be sad. Outside of a small band of loyalists, I can’t imagine who in the GOP would want to go through another failed presidential campaign. Next Next post: Prison For Petraeus?